It's the biggest day on the horse racing calendar for many, as the Grand National at Aintree is a tradition unmatched by most events. With this event comes the opportunity to wager on the race and to pick a winner at the window. But how do you figure out which horse to back when it comes time for the race? Looking for the following notches in a horse's belt should go a long way towards helping determine who to put your faith in during the race. 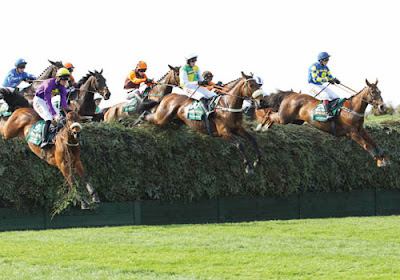 The Grand National is known for its many jumps, which can of course lead to many falls. So backing a horse that can remain on its feet and continue moving towards the finish line is key. To find a horse that fits this billing, some research will be required. Go back through a horse's race history to find out if it has failed to finish races and what the causes of those lack of finishes were. This will tell you if a horse has been able to stay upright, which can tell you a lot about whether or not they are worth backing in the Grand National. This is such a priority because of just how many falls take place at the Grand National every year. There is a long list of horses that fail to finish the race each year, as the gruelling combination of jumps and a long distance run takes its toll on the competitors. If a horse has trouble finishing the job in smaller races, that says a lot about their chances in this one. Often, the Grand National boasts a huge field. And while a select group of horses tend to finish the race when all is said and done, it is important to know how the horse you want to back has performed against the other horses in the race. Over at William Hill, bookmakers take this into account when determining the favourites in the race among other factors, which goes some way to explaining why Blaklion and Tiger Roll are joint-favourites at 10/1. Because if you have been left in the dust by the competition in lesser races, you will be considered less likely to beat them in the biggest race of the year. As you would imagine, the competition in the Grand National is fierce. 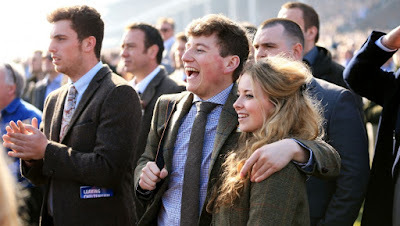 The same can also be said about the tune-up races for the big one at Aintree. With many horses in the field taking part in a select few races to prepare, there are opportunities to see how these horses performed on the same tracks in similar conditions. 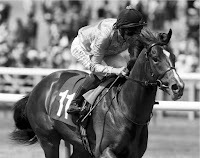 This can provide a comparison between the horses, which can help make informed decisions. Of course, there is a myriad of other factors to consider when picking a horse to back in the Grand National. But using these two as a starting point will go a long way towards weeding out horses that are not worthy of backing on such a big stage. With a little light reading and the knowledge that comes with it, you can be on your way to picking a winner.